Getting antsy waiting for the next season of Game of Thrones to start? Missing the intrigue, passion, treachery, lies, horror, murder, lust, filth, fighting, and fantasy? Tired of hearing Winter Is Coming when many have had enough of winter? 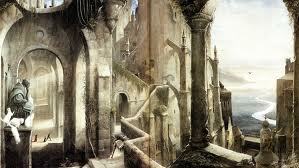 Then the 4-part BBC Gormenghast might be just the ticket to exotic destinations. 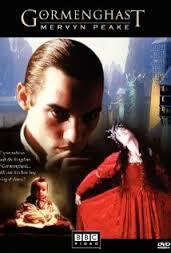 Before Game of Thrones there was Gormenghast. Adapted from the first 2 books in the trilogy by Mervyn Peake, this is a stunningly creepy and brilliant experience you’ll not soon forget. Exceptional cast including: Jonathan Rhys Meyers, Stephen Fry, Christopher Lee, Ian Richardson, Neve McIntosh, Richard Griffiths, Zoë Wanamaker, Spike Milligan, and more. This twisted foray into fantasy will be a stark reminder – more is out there.